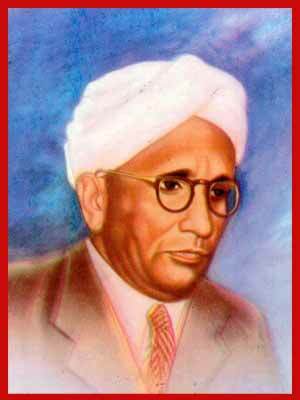 National Science Day is celebrated in India on February 28 each year to mark the discovery of the Raman effect by Indian physicist Sir Chandrasekhara Venkata Raman on 28 February 1928. For his discovery, Raman was awarded the Nobel Prize in Physics in 1930. The focal theme for the year 2009 was "Expanding Horizons of Science". On 28 February 2009, five institutions in the country were presented National Award for Science Communication by the Indian Department of Science and Technology. These awards are presented to recognize the efforts of individuals and government and non-government bodies for the popularization of science in the country. The highest award in 2009 was given to the Vikram Sarabhai Community Science Centre for its contribution to science-related learning material and conducting training programs on science education. Dr. Pramod Kumar Mohapatra, G.S. Unnikrishnan Nair and Ms. Meenu Khare were awarded one lakh rupees for their individual contributions to the field. Jidnyasa Trust of Thane also received one lakh rupees for setting up a science activity center.it is to make people aware about the science and technology. The focal theme for 2012 National Science Day is “Clean Energy Options and Nuclear Safety” As the nation will observe National Science Day on February 28, the citizens will see a slew of activities at Science City which has planned a five-day Science Carnival on theme of youth and science. The science day is observed every year to commemorate Dr C V Raman's find of Raman Effect for which he later got Nobel Prize for physics in 1930. "The Science Carnival is going to be an event with a series of scientific activities and programs involving school and college students, eminent scientists and faculties of the state and country. We want to provide a real platform for the budding scientists to make their career and profession in science," said a senior Science City official. Officials said that they are expecting nearly 1 lakh students and science enthusiasts to visit Science City during this period.